The International Monetary Fund created the SDR in the late 1960s to supplement the gold and other currencies held by countries as their reserves. 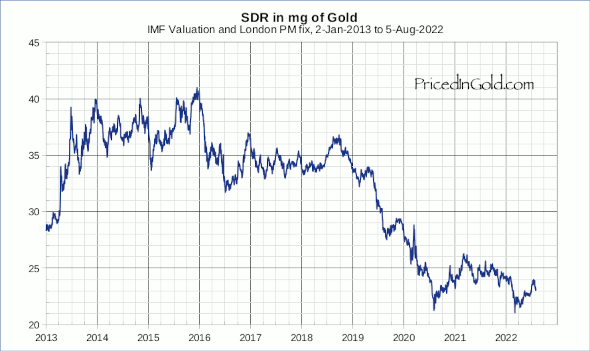 The value of 1 SDR was initially defined as the same amount of gold as 1 USD. At the time, the USD was convertible into gold, so most countries chose to hold the bulk of their reserves in dollars instead of gold. In 1969, tight US monetary policy lead to fears that there wouldn't be enough US dollars available for reserve holdings. These concerns lead to the first issuance of SDRs in 1970. 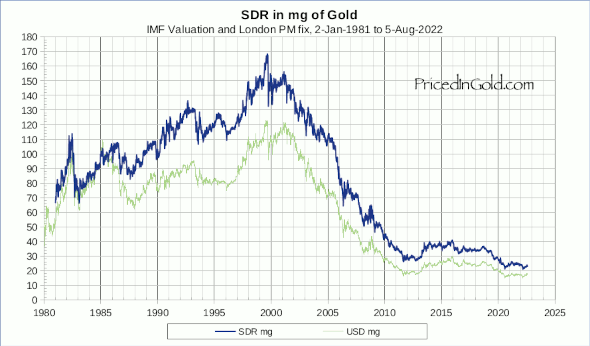 As the USD ceased to be convertible into gold in 1971, the SDR's value was changed from a specific amount to gold to a weighted basket of major reserve currencies, which today includes the USD, EUR, JPY, CNY and GBP. As you can see on the chart, the SDR and USD were very close in value in 1985, but the SDR has held up a bit better than the USD in the years since then. In 2018, the USD is worth about 25% of its 1985 value, while the SDR retains about 36% of its 1985 value.